Everything is in full swing now and as predicted, it's total insanity with Roger taking 3 honors classes, being in band, and playing football. On top of that, Ben has a full course load and is managing the girls swim team! Between homework and sports, there are days that I wonder if I'm going to see home again! 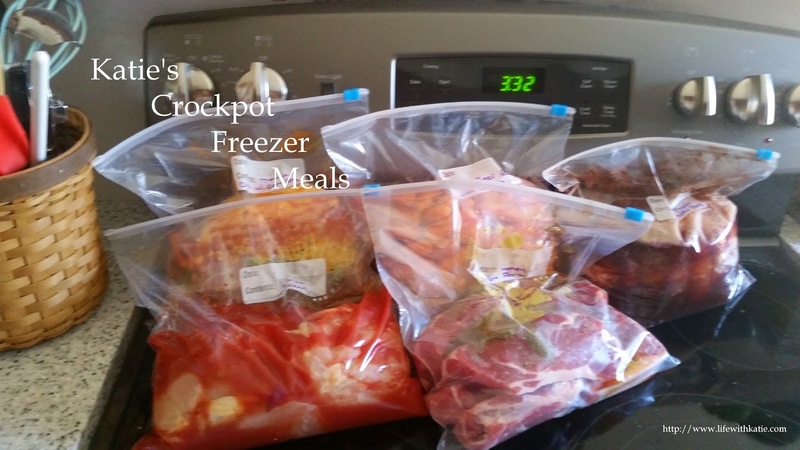 Combine all ingredients into a gallon sized freezer bag. Squeeze out any excess air, seal, and place in freezer. Thaw in refrigerator overnight. Place into crock pot and cook on low 4-6 hours. If desired, serve with liquid on the side.